Brits look likely to be treated to much cheaper broadband in the near future, as a result of Ofcom lifting the long-standing price controls on BT's consumer business. The comms regulator's latest move means that BT can now compete freely in an open market against competitors such as Virgin Media, offering discounted phone and broadband bundles that were previously outlawed by Ofcom. BT can now offer "triple-play" bundles of discounted land-line, TV and broadband offerings, with BT (obviously) welcoming the move, noting that it will now "be competing on a more level playing field than previously". We expect to see new cheaper TV/broadband/phone packages being rolled out sometime later this autumn. BT's retail boss Gavin Patterson is clearly happy about Ofcom lifting the restrictions, claiming the move is both "good news for consumers and businesses, as this will allow BT to offer more targeted discounts on products and services and more attractive bundles at better prices, something we have been unable to offer widely to date." 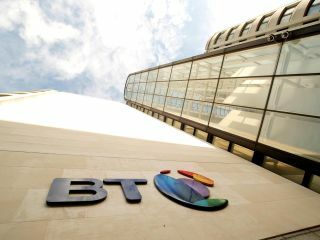 BT has 14 million landline customers, a whopping 56 per cent share of the landline market in the UK. Competitors TalkTalk and BSkyB have both hit back at Ofcom's decision, with the latter describing the move as "irrational".